Firstly, thank you so much if you have made the effort to click on a link on social media today about hen harriers and arrived at this blog post. Less than 4 weeks ago I wrote the blog below and set up a Thunderclap to try and raise awareness regarding hen harriers. If you want to remember just one fact from this post, then remember this one; last year just 3 pairs of hen harriers bred in England when we have the habitat to enable over 300 pairs to breed. 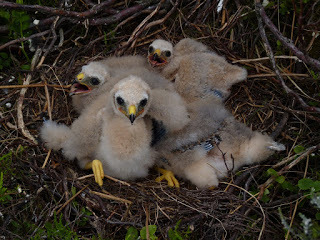 Hen harriers breed in the uplands and that is where the trouble starts. Hen harriers, other raptors, mountain hares, foxes and corvids are just some of the animals/birds persecuted to protect game birds, which are then shot. It is a cycle of destruction. Grouse moors are intensively managed to encourage unnaturally large amounts of red grouse to flourish in time for the "inglorious 12th". There is no natural balance on these grouse moors and it's wrong. Every generation has the basic right to a natural inheritance. It's time we all spoke up to protect the natural world for generations to come, we can't survive without it. There is a dark shadow that follows and reaches for our hen harriers. 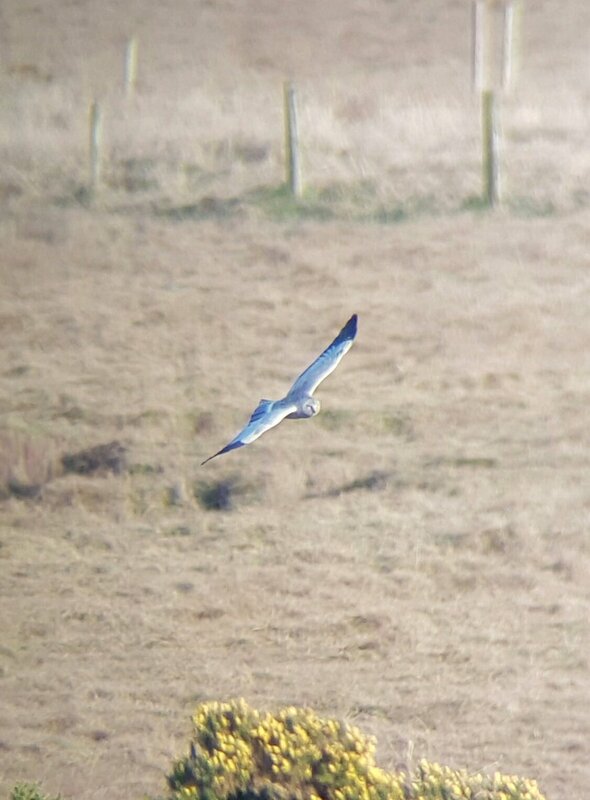 This unrelenting shadow led to us having just 3 breeding pairs of hen harrier in England last year when there should be over 300 breeding pairs. Illegal persecution has been a huge part of driving hen harriers to the point of extinction as a breeding bird in England. Hen harriers have the power to massively move people, as an earlier post called "Those Thought Provoking Hen Harriers" clearly showed. If an iconic species like a hen harrier can be so close to extinction as a breeding bird in England, what does that say about all the other species of birds, mammals and insects that face a daily struggle for survival. We all have a responsibility to safeguard the natural world for future generations and speak out against the greed, ignorance and denial that is pushing the natural world to it's limits. So focussing on the hen harrier for a minute, I would ask you all to sign this Thunderclap that is due to go out as hen harriers make their way from wintering sites back to the upland breeding grounds. Birds like Finn (the only bird tagged as part of the RSPB's LIFE project in mainland England last year that is still alive) who have managed, against the odds, to survive so far, unlike many of their fellow tagged birds who never made it to a year old; birds like Carroll. So what else can you do? Well, this is where I am going to push back on you this time and ask back "what will you do?". Awareness raising is a great place to start; please sign the Thunderclap and get other people to do the same. Have you signed the Thunderclap? You can of course use the comments section to offer up ideas, thoughts, comments on what more we should all be doing and how best to bring about the urgent changes that are needed. Let's bring those shadows into the light where they will start to disappear. Every act of evil unleashes a million acts of kindness. This is why shadows will never win while there is still light to shine. Circus cyaneus, the hen harrier. The bird at the centre of so much controversy, and yet it is a bird that once seen is never forgotten. It has the power to stop people in their tracks and take them to another place as you will see when you read through this blog post. 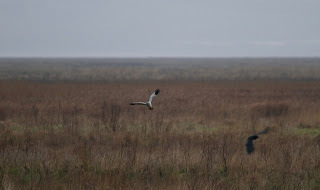 This blog post is, at a simple level, just a collection of thoughts on seeing a hen harrier (I asked a few people to write 100 words on how they feel when they see a hen harrier). But as you read through you will see that it is so much more than that. 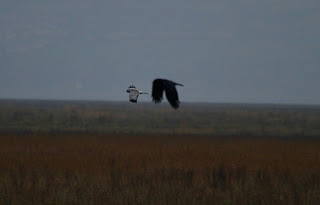 When I first thought about putting this post together, I knew that people would have great things to say about how seeing a hen harrier makes them feel, but I totally underestimated just how beautiful everyone's words would be. It's almost as if people felt that they really had to do the bird justice, and they all really have. So please enjoy a blog post that no-one can argue with, no-one can disagree with, no-one can say is wrong; a post about how a single moment in nature can make you feel. There’s no other moment quite like it. No matter how many times I see this bird, I am silenced as I watch in awe. This majestic figure floats effortlessly over the landscape, with the ability to stun all observers. No one forgets their first, the anticipation is immense and moment is treasured. You can almost feel the tension when this ghostly character appears, prey fleeing from the undergrowth. This is soon replaced with excitement as its pristine plumage twists and turns through the air. The Hen Harrier is a special bird. All wild life always captures my heart and my mind. My wellbeing is measured by exposure to nature. A dose of the wild keeps me happy, challenged and inspired. Then you discover an animal that beyond expectation adds some extra wonderment. My first experience of seeing a hen harrier did just that. This handsome creature was a robust, energetic, masterful male, and, I have to admit that I was totally entranced. Its shape, colouring and self confidence in its abilities all hit that soft spot. Electric and exciting. The perfect concoction. A female would have crushed me too. Love at first sight is guaranteed. Believe me. Go see! When I first saw a hen harrier I was 10 and it was probably one of the most exciting things that ever happened to me! It soared through the air, barely even flapping its wings. I also felt so angry that people would persecute this graceful, amazing bird. It enlightened my heart to see it hunting for its prey, with no persecution in sight. As we had been on a long walk over RSPB Geltsdale moor, the sight of this magnificent bird would stay with me for life! It was truly magical. 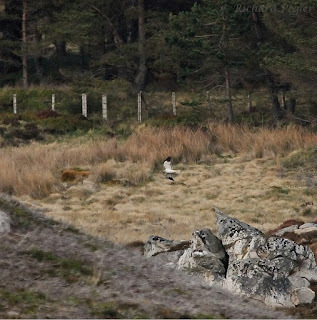 On 29th May, 2013, whilst on holiday in the Scottish Highlands, I was standing in a lay-by, from which Short-eared Owl and Black Grouse could be seen, when pal Jim called out ‘Hen Harrier’. Heading down the valley towards us, beautifully illuminated in the early evening sun (it was 18h49), was a magnificent male Hen Harrier. All thoughts of owls and grouse were immediately dispelled as it continued and flew at low level, to pass us at distance of about 500 metres – my most memorable moments of a bird-filled holiday. Yomping up a heather clad hill, reminding myself how unfit I am and that I’m not cut out for fieldwork these days. But the thought of glimpsing a bird I spend so much time talking about, but so rarely see keeps me going. Jumping at every shape coming out of the mist, but no, it’s just a heron. And then there it is. A grey shape emerging and disappearing as quickly as it came, filling me with euphoria tinged with sadness at such a rare sight. There I was literally sat on a fence overlooking a rough grassy sludge tank with patches of phragmities choking the last of life from a once productive muddy area. I was in my teens and I was about to take the long walk home with my beloved border collie 'Pele'. Across the fields a ghostlike phantom appeared gently floating above the gathering mist. The brown plumage and white band above the tail immediately told me it was a 'rintail' Hen Harrier. This bird for me is a mythical waif that appears rarely but when it does it's always warmly welcome. Its about buoyancy, about pushing against gravity with feathers, those lightweight, fragile wefts which make wings and things, which throw beauty high into the sky, to frolic, to roll and sweep and slide, to ring up and stall, with the confidence to fall, earthwards fast and then to find that invisible trampoline to bounce back to dance again, to dance in the sky, that great volume beyond our rooted reach, to where our hearts can be flung by the simple thrill of watching this bird. A chilly, early morning on Mull - we'd already heard the bellowing of red deer stags and we were taking the long route back to the car. Suddenly, across a small valley, perhaps 150 yards away a male hen harrier low to the ground. The sheer pleasure at seeing this ghost was overwhelming - all the more because it was unexpected - gave way to admiration of its hunting skills. Remembering to breath and willing it to stay longer, the only disappointment was felt as it disappeared from view. Then elation again at the remembrance. 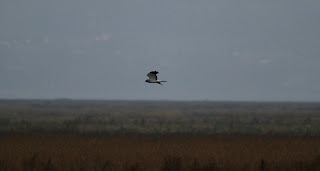 The last time I saw a hen harrier was just over Christmas with my son in the tower hide overlooking Wicken Fen at dusk. While a starling murmuration began to build and a parliament of rooks created a cacophony, we were captivated by the grace and steel of a male hen harrier. We watched it fly away from us until our eyes strained and we could see it no more. It was a fitting climax to a great day. But, walking back we talked about the conflict that has engulfed this species and threatened its future. A conflict that has polarised opinion, created anger and passions on both sides and led to seemingly endless debate about its future. But, in the end it is just another species threatened by the actions of humans – and that is why it is why the best adjective to sum up hen harrier is “totemic”. It is a reminder of how our species continues to exploit the millions of other species with which we share this planet which, in turn, threatens our own survival. Save the hen harrier and we may just learn to save ourselves. I always go home happy if I see a Hen Harrier. They are rare, they are beautiful and they are exciting. Always on the move, always actively searching for prey, they draw the eye like no other raptor. You have to watch them when they are in sight and you hope for their return when they are gone. Seeing a Hen Harrier makes my day. Emotions when I see a HH. Joy and wonder are the first words that spring to mind when I see a hen harrier. Nowadays I usually see them at a roosting or foraging site in Essex. The feelings of joy and wonder quickly subsides when I ponder the fate of these magnificent birds when they return to their upland breeding grounds. I first saw a hen harrier (two actually!) on Sunday 19th July 2015 at RSPB Geltsdale. I'm still not sure what gave me the most joy, the spectacle of the hen harriers themselves or the fact I shared it with my husband and children. But I do remember my heart stirred and soared watching those magnificent hen harriers. However the joy was also mixed with other emotions - sadness at the uncertainty of ever seeing a hen harrier in flight again, and anger at those who wilfully set out to persecute our wonderful birds of prey, and deprive my children of them. I've never seen a hen harrier. I live in the Yorkshire Dales National Park, perfect upland territory for raptors of all sorts and in five years the only raptors I've seen are a few buzzards, and that felt miraculous. I have booked a holiday to Islay because I can't bear the idea I might die before I see a Hen Harrier in the wild. I'll let you know how I feel when I see one. Right now I mostly feel furious about the lack of raptors in our National Parks. My first hen harrier sighting was fleeting. It came 20 years ago when I was standing on the summit of Mt Yoash in Israel as part of a team counting the spring raptor migration. 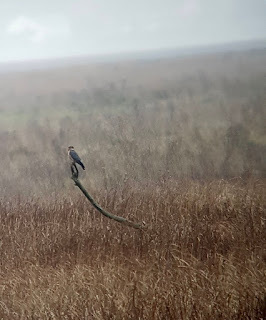 My binoculars were trained on the thousands of gliding steppe buzzards & black kites, trying not to lose count, when a lone male hen harrier flapped through my field of vision and was gone. I didn’t think twice about that first one; it was a tiny part of a much wider picture. It’s ironic that these days I treasure every single glimpse I can get, precisely because this species has itself become symbolic of a much wider tragedy. Drifting through the mist of a January dusk came my first hen harrier. Grey wings quartering the reeds on a grey winter’s day. Years later, starting a job in conservation, my first hill had revealed just how unfit I was. As I recovered, sat in the heather a merlin flashed past. In the distance those grey wings again, now catching the sun as over and over a male hen harrier threw himself into his skydance. With my eye in, two more on nearby hill tops. Hen harriers animate the landscape, their presence thrilling as I share their world. Driving along a well-used upland road there it was. Not far over the fence a little way up the moor a ghostly pale grey shape shining bright against the dark end-of-winter heather. We just had to pull over to enjoy the spectacle. Almost in awe I watched as it wafted effortlessly low over the ground like a child’s kite on a short string, taking advantage of little updrafts of air it gracefully kept airborne without stalling. How amazing it looked as it gave a thrilling display of just doing what they do best - precision flying. An unexpected treat! Early morning and the light was just enough for me to see through the twisted branches of a Hawthorne hedgerow. A large pale bird was flying low to the ground, it couldn't be, my heart started pounding as I tried to get a better view. I ran along the hedge to a clearing as a moonlit pale grey male Hen Harrier banked left and glided right in front of me, its piercing yellow eyes giving me a stare. It flew away from me and hugged the ground at a height of a couple of feet, then with a slight flick of its tail it turned left again and quartered the meadow. I watched in awe for 5 minutes before it headed for the other side of the reserve and out of view. I was shaking and realised I'd never even thought of lifting my binoculars or camera, the whole experience was raw and unforgettable. 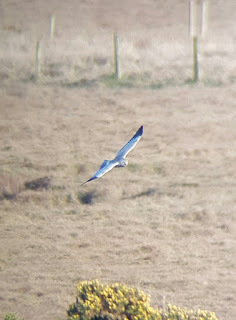 I've seen Hen Harriers since and its always a real treat but that first UK bird was so personal as it was on my patch. I’d been waiting and watching in the cold for well over an hour on a hilltop in my local Hertfordshire with 2 pals and another birder who I didn’t know. Suddenly my reward appeared in the form of a ring tailed hen harrier ghosting along the bottom of the hill. I’d seen rarer birds but none had given me the sense of euphoria that this one did. It was special, iconic, enigmatic, magnificent. 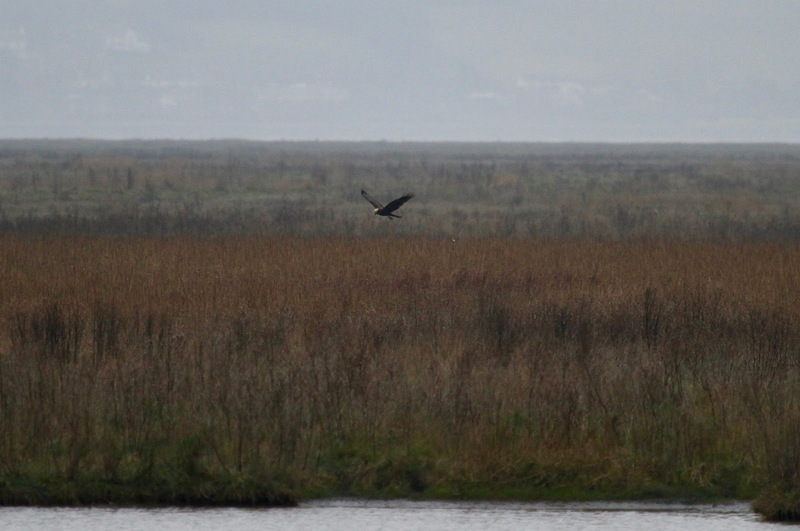 I failed to contain my excitement and had to explain to the stranger that this was my first hen harrier. Needless to say he understood. The first time is an unforgettable moment, suspended in a place reserved for monumental things. 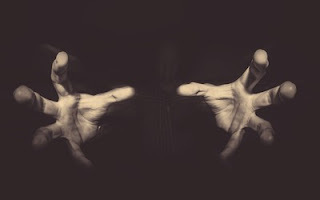 It rose from the Sitka like a shadow and shot out and upwards, a second later it was joined by another male and they artfully twisted, turned and jubilantly soared. If I had a superpower it would be to fly, in those 2 minutes I did because I'm sure I soared that day too. I was amongst them, or at least my heart was, it still is. I will continue to be an advocate for the Hen Harrier, when you give your heart to something you need to fight for it, to keep it alive, so that others can fall in love too. I was walking alone on the Hebridean island of Eigg this summer when I spied a pallid shape hugging the contours of the moor on long thin wings. A hen harrier – a souped up hot rod assembled from bits of owl, hobby, swift and hawk – like no other bird in Britain. Its owl-like face swivelled, it knew I was there. Then it expertly banked, threatening to land, violently, on a hidden vole, before disappearing over the edge of the mountain. For once, I could simply enjoy it, with none of the usual anxiety: there are no grouse moors on Eigg. The first time I realised that Hen Harriers existed was when I thumbed through my first field guide, aged eight. I was sucking on a Murray mint at the time as I flicked onto the harrier plate. I thought that the male’s grey plumage was absolutely stunning and immediately my desire was fired to see one in the flesh. I had to wait until I was 18 before I saw my first live one, a ringtail in Norfolk. A few years on from that, I saw my first male wafting over a wintry marsh. I remembered the taste of that mint then. It’s a taste that I hope to forever associate with Hen Harriers. I’ve seen magnificent marsh and Montagu’s harriers in summertime, but sadly, I’ve never seen a skydancing hen harrier. And it’s not because I’ve been in the wrong habitat; it’s because they are so often ‘missing’. The hen harrier is teetering on the edge of extinction as a breeding bird in England. Could this tragedy happen in 2017? I feel intense sorrow and outrage each time another hen harrier is illegally killed, which is predictably common. I yearn to see my first skydancers. More than this, I yearn to see the day that this majestic, beautiful and aerobatic bird is safe in our uplands. Thank you to all who tirelessly work to try and safeguard our hen harriers. 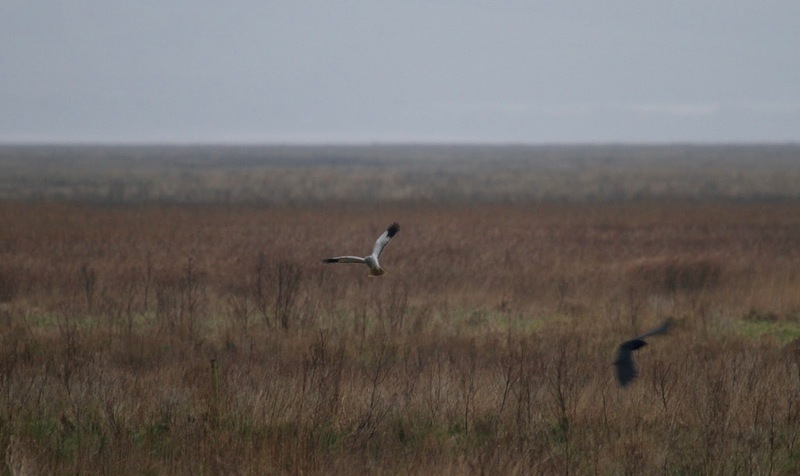 The dramatic sight of a hen harrier in flight is something I have yet to experience. With only four breeding pairs in England, this most threatened of our birds of prey has become a lightning rod issue when it comes to the debate over who controls the future of our countryside and the precious wildlife that inhabits it. All too often is it a combination of ignorance and greed that it leading to the destruction of wildlife at home and abroad and this is most definitely the case when it comes to the hen harrier. With a grouse shooting industry valued at over £67 million a year, gamekeepers are coming under increasing pressure to kill hen harriers to protect grouse for their employers. With hen harriers targeting grouse chicks as well as rodents, these birds of prey which are known as sky dancers for their elaborate aerial displays, are not a welcome sight over the grouse moors. Since 2000, 20 gamekeepers have been found guilty of "raptor persecution" or poisoning offences on grouse moorland but this is only the tip of an iceberg, as most crimes go unreported, in 2013 alone the RSPB logged 238 reports of birds of prey being illegally killed. However, the caring compassionate wildlife loving British public are now making a stand for the hen harrier. Wildlife broadcasters and campaigners such as Chris Packham and Mark Avery have taken the fight to protect this beautiful species to Westminster into the National Parks and into the media. Despite the misinformation and propaganda of the landowning and shooting industry, Hen Harrier day has now become one of the largest wildlife campaigns in the UK, organised by Birders Against Wildlife Crime with the support of the RSPB and Wildlife Trusts it brings thousands of people together for events across the country. 2017 will continue to see growing public awareness of the scandal of widespread illegal persecution of Hen Harriers on upland grouse moors. We cannot remain silent whilst one of our most iconic birds of prey faces extinction as a result of the negligence and greed of the shooting industry. As a wildlife protection campaigner I will continue to add my voice to the calls for their protection and hopefully will be fortunate to see a beautiful hen harrier in the wild for the first time in the year ahead. So how are you feeling after reading all that? A massive thank you to everyone who took part and for helping to create such a positive and heartfelt blog post. Please join in and use the comments to write your own 100 words about how seeing a hen harrier makes you feel. And come back and visit this blog soon, as I need you all to help with another big hen harrier awareness campaign starting very soon. Throughout the Winter an RSPB Raptor Watch has been taking place at the end of every month at Parkgate on the Wirral; aiming to show off the vast array of wildfowl, waders and especially the raptors that can be seen at this important estuarine site. 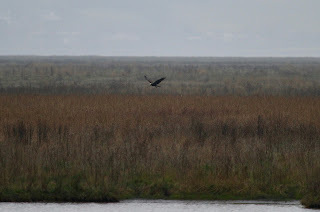 The habitat consists of acres upon acres of salt marsh which is an over wintering haven for many birds of prey. This winter the site has been home to at least two male hen harriers and up to three ringtails. Both the males and ringtails have been giving rather spectacular views, and people have travelled from far and wide to see them. With so much awareness being raised about the persecution of this species, it is great to be able to show people these birds in a safe environment, before the birds head back to the troubled uplands to breed. 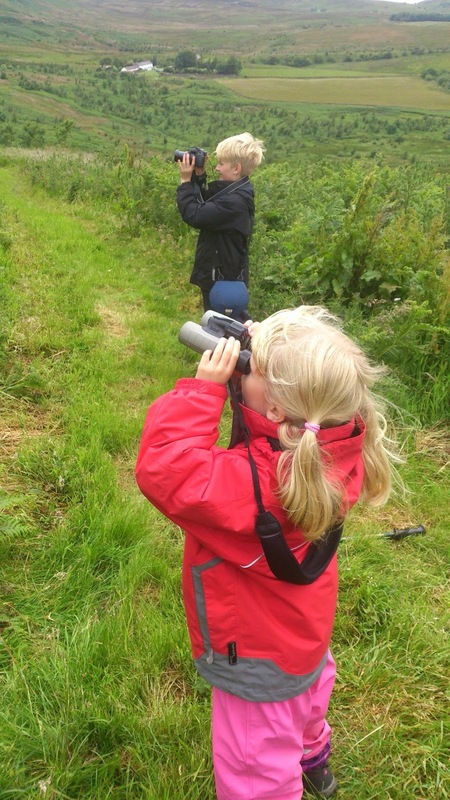 So last Sunday I attended the monthly raptor watch, volunteering with Dan Trottman for the RSPB. There was a steady turnout throughout the afternoon and it was fantastic to be able to show people the comings and goings of the natural world; things they my never have stopped to appreciate before. 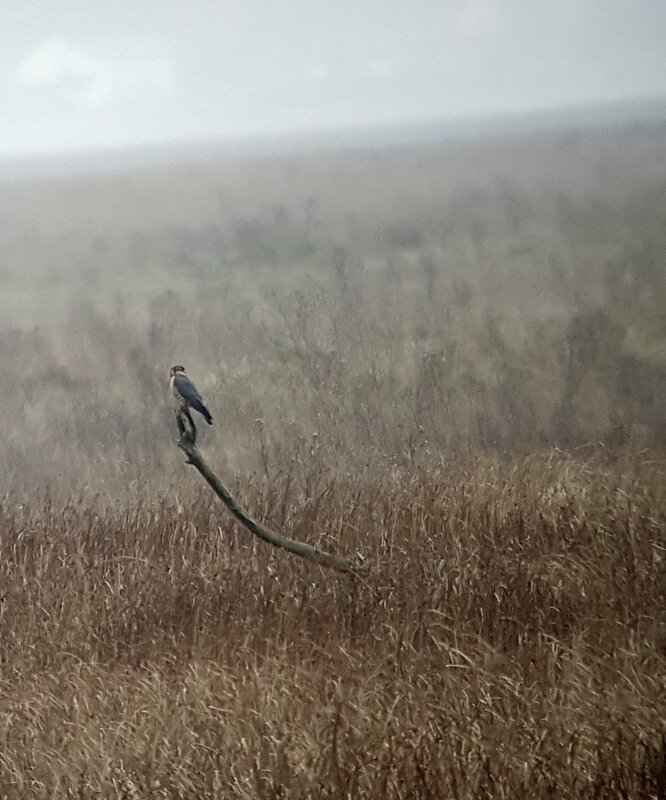 I am sure people may have noticed a bird sitting on the branch that sticks up in the middle of the salt marsh, but as most people don't tend to wander round with a scope, it is great to see their reaction when you zoom in on a merlin for them and they get to appreciate such a stunning raptor up close for the first time. Of course, an event such as this is a great opportunity to talk to people about the on going persecution of raptors. I met a lady who had travelled from Burnley in the hope of seeing a hen harrier, so it was fantastic to be able to watch the bird with her and see her reaction. She worries about what is happening to this species, and as she has heard so much about them, she wanted to make the effort to see one. And then it was also fantastic to see the next generation coming through and enjoy watching George who could not contain his excitement every time a raptor was spotted. Sharing my scope with George and the lady from Burnley (and many other people), and sharing the experience of the raptors together was really special. It's great when a family heading off for a walk with their dogs stop for a few minutes to see why you are there, and then they end up staying for 15 - 20 minutes to watch the birds and ask so many questions. 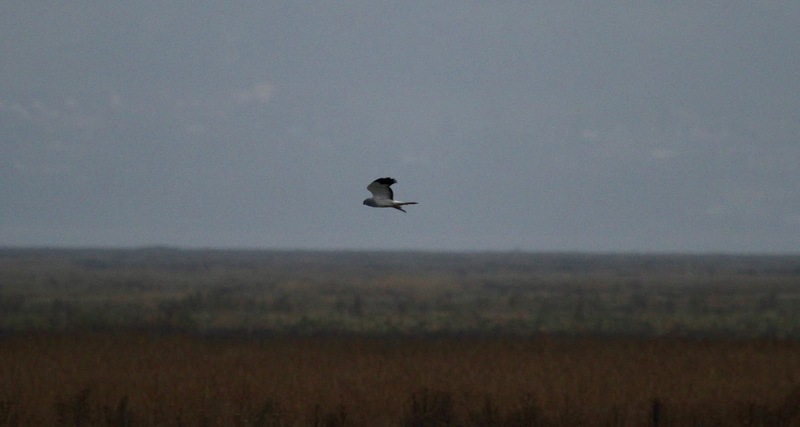 .........and of course the awe inspiring hen harrier. Wherever it may happen, the experience of being lucky enough to get a glimpse of a hen harrier is extraordinary; it literally leaves me shaking no matter how many times I may have seen one before. However, the first time is heart stopping, and this proved to be the truth when many people who had travelled far and wide, finally got their chance to see one of these birds. The atmosphere was incredible, a group of people all as excited and amazed as each other and all at a loss to understand how anyone in their right mind would want to shoot such a bird (or any bird for that matter). This event was simply amazing, and I can't wait until next time. Anyone thinking about making the journey over next time.... Just Do It! It is truly an amazing day out. The next raptor watch is on 26th February and I hope to see you there. With just days to go until the election, please take just a few minutes to watch and listen. Please fix things.